Happy Release Day! 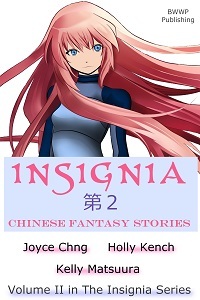 ‘Insignia: Chinese Fantasy Stories’ is now live on Amazon! Oh, happy day! I always love publishing day, when all the hard work comes together and we finally get to share our little book with the world! INSIGNIA Vol.2 includes 6 Chinese fantasy stories with a mix of urban, literary, contemporary, myth-based, and historical fantasy pieces. Reblogged this on A Wolf's Tale.